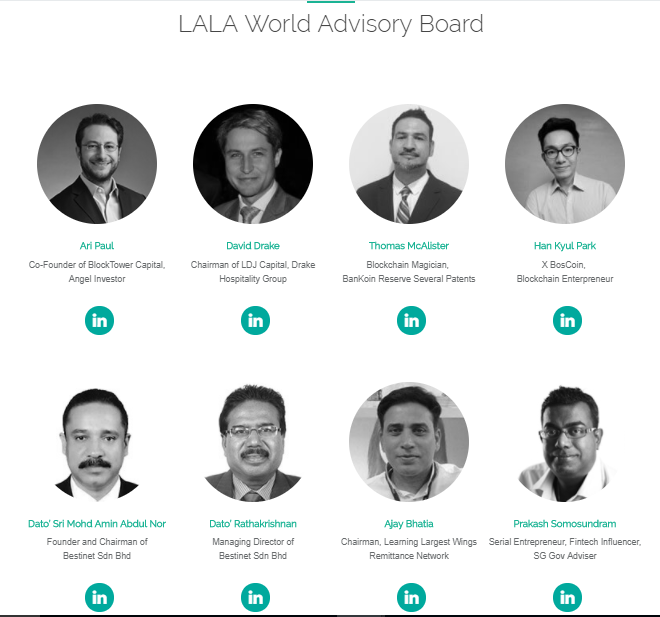 LaLa World ("LALA") is all about migrants and their underbanked families. Its an ECOSYSTEM enabled by the LaLa Wallet as a PLATFORM, a single sign-on platform revolving around their issues and problems. Employment issues, digital ID's, communities build up, government and NGO partnerships, health issues, and of course, a new financial ecosystem for the huge underbanked population by leveraging the blockchain revolution to bridge the gap between cash, digital and crypto world. 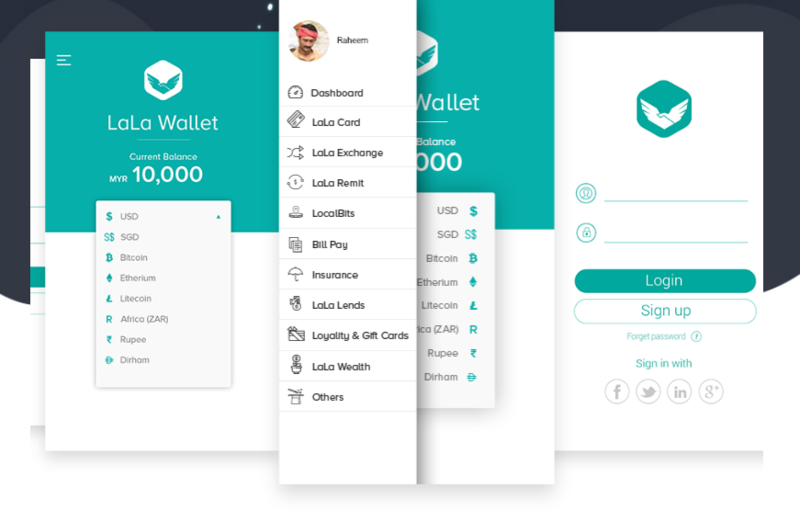 LaLa is a new age one-stop Wallet based on ethereum and hyperledger blockchains allowing investors to capitalise on the rise of blockchain as well as the underbanked into the financial ecosystem. By creating a whole new peer to peer ecosystem, LaLa aims to revolutionize the way individuals, small businesses and micro-entrepreneurs transact, make payments, borrow money and associated products like insurances, domestic and cross-border remittances, cards and other general banking products. Website looks very nice. Good luck! 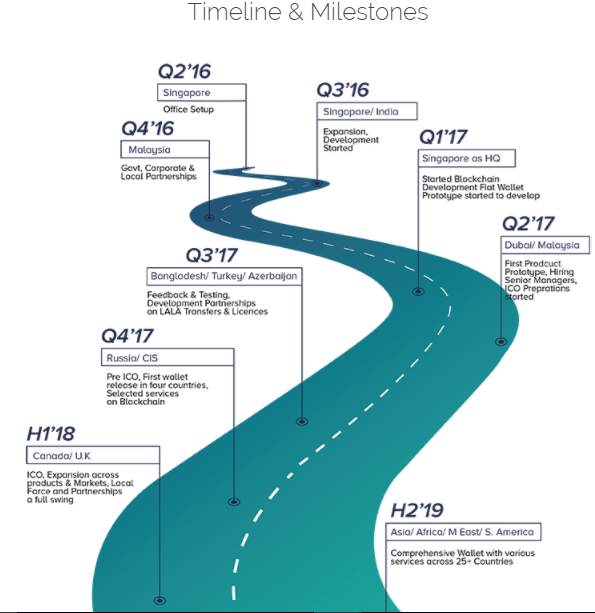 You should see our whitepaper and understand the potential of our project. very interesting project, empowering migrants. I support this project and hopefully it can be successful. It's solving a real life problem. what are the levels of ico these days. what is even the need for a coin for migrants? is this a joke!! You should have a look into our business model. We are using the application of blockchain to give financial flexibility to the underbanked and migrants. It is a historical real world issue. Please don't make an opinion without actually understanding what we are doing. yes it is a real world issue no doubt, but isnt it better to use existing system and coins like bitcoin/eth/ltc because they already have built coin infrastructure and growth. from the model exactly how launchin a new coin helps is not clear. How to download the LALA Wallet? I love the cause for this coin! Great Cause. Like most projects, adoption will be key to making an impact. I hope you are successful and will follow your project with the hopes of contributing where possible. Good luck. Nice project. very interesting in your project idea.